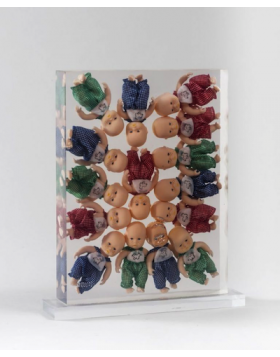 Arman, a well-known exponent of the Nouveau Réalisme, makes objects of daily life the protagonists of his art. This sculpture, certified by the A.R.M.A.N. 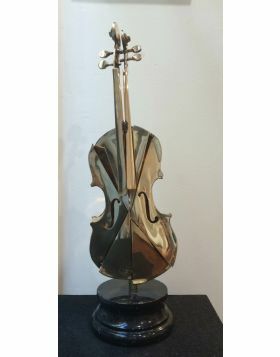 Foundation, represents a dissected violin. It is made of bronze and covered with a golden patina. Armand Pierre Fernandez was born in Nice in 1928. 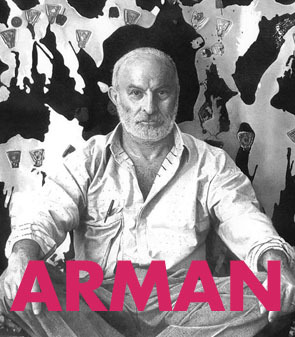 He is well known as Arman, the name he used to sign his artworks since 1958. 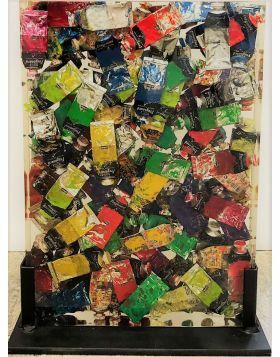 One of the most prolific artists in the second half of the 20th century, in order to create his artworks he used a different kind of art, from paintings to prints, from sculptures in bronze until his famous “accumulations”. 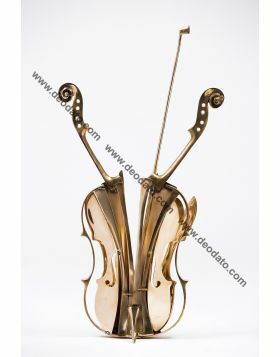 Art has always been a fundamental aspect of his life thanks to the influence of his father, an antique dealer who loves so much all type of art, especially music, which led him to the decision to sign up at École Nationale des Arts Décoratifs in Nice and then at École du Louvre in Paris. After a beginning that can be called "traditionalist" in the world of painting, he stared to dedicate himself to the creation of the famous Cachets and Allures. In the first case, we talk about a series of works on paper made by the use of the stamp. In the case of Allures it's about a similar technique but instead of the stamp he used fingerprints, traces of colour left by brushes and to various objects. What binds all his works are just objects, absolute protagonists of his art. In his first works, they serve as the medium of painting that leaves a recognizable mark. In the later compositions, instead, we find them as a real part of the artworks and constitutes the works themselves. 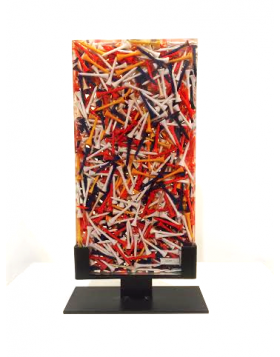 We are in the early 60s when his style evolved and Arman he became an artist exponent of the Nouveau Réalisme. 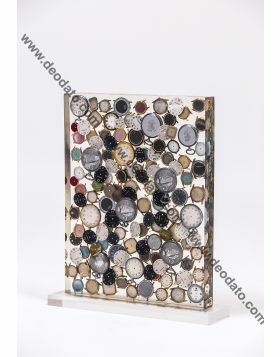 The material objects becomes art themselves, as well as in the Dada period, from which, however, there is a conceptual gap: they are not only displayed as irreverent symbol of artistic tradition, but they are subjected to invasive and destructive action, the same that the society has on the values and vision of the contemporary society. This sculpture to be shipped in a safe way needs a shipping crate, this could affect costs and shipping times depending on the destination. Please write to [email protected] before making the purchase.